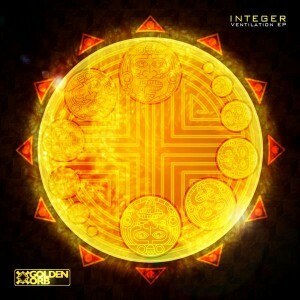 Australia’s Integer (Ashley Hanson) returns with Ventilation, his second solo effort, on Golden Orb Records, showcasing what he does best: a deep, reverb-laden hybridization of dub, downtempo, and atmospheric drum and bass. This release demonstrates the versatile, yet fluid nature of this producers approach to fusing the elements of many electronic music styles into a free-flowing progression that still features a unifying, signature sound throughout the journey. Not a producer to follow the trend of carving out track after track of template-based, copycat dance floor smashers, Integer’s goal is to create an eclectic and progressive blend of music, that whilst still bass-heavy and beat-driven, transcends the confines of the dance floor to enter a realm of immersive listening delectation. Inspired by classic electronica artists like The Orb, Leftfield, and Banco De Gaia, Integer’s use of evolving, ambient textures to seamlessly blend from electronica to dub to house and drum and bass is certainly a nod back to these halcyon days. Mastered by DOMC with artwork by Harmless Prankster. Love track 1 and 5! Thanks for sharing! Давно такой хороший dubец не слушал. love track 1,3,5! Peace! Fantastic release, I have enjoyed every track (a few times!!). very interesting and skillfull sounds! thanx to the artist for sharing his art! Great sounds and melodies !